The star of Wolverine is getting some extra perks from Audi. Hugh Jackman must have a really difficult life. He&apos;s been making a number of public appearances to promote his new boxing/robot movie Real Steel, and Audi has decided they want some publicity as well. 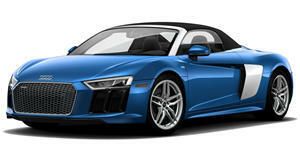 In an effort to get some of that spotlight, Audi is giving Jackman the use of an R8 Spyder to pull up to the events in. He is being called their “brand ambassador” a program which Audi started in 1997 to get exposure by making sure their cars turn up at the right parties. Check out the video from the movie&apos;s Australian premier and try not to feel too sorry for Mr. Jackman and his bad luck.